The Contractors Association of Truckee Tahoe (CATT) announced a membership orientation for prospective members, new members, and existing CATT members on March 5, 4 p.m., Hotel Truckee Tahoe, 11331 Brockway Road in Truckee. Light snacks will be served. 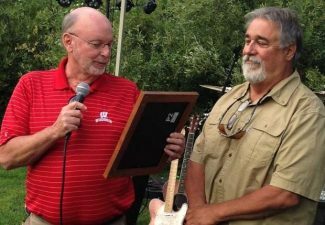 The membership orientation is open to building contractors, specialty contractors, suppliers, and design professionals in the Truckee Tahoe area. The orientation is geared to individuals and companies who want to maximize promotional efforts and be kept up to date on local building codes, fees, remodel trends, and more. Learn about CATT benefits, services and how to get the most out of a CATT membership. Current CATT members are encouraged to attend. Meet CATT Board members and committee chairs and find out how the membership dollars are spent. For more information contact Kim Cross at 530-550-9999 or memberinfo@ca-tt.com. Visit CATT online at http://www.ca-tt.com. Wednesday, March 5, 6-8 p.m., Tahoe Mountain Sports, 8331 North Lake Blvd., Kings Beach, “A Tale of an African Expedition in Search of Disappearing Glaciers and 16,000’ Summits.” Jen Gurecki will share what it’s like to work hard and play hard in Kenya. Summit For Our Sisters took her up Mt. Kenya. Gurecki summited then made turns down the Lewis Glacier, raising more than $12,000 to help women start small businesses in Kenya. Gurecki will share her recent expedition with a slide show. Tahoe Mountain Sports will raffle off women’s outdoor gear including a Coalition snowboard or pair of skis! (Must be present to win.) All raffle proceeds and a portion of gear / clothing sales will benefit Tahoe’s local S.A.F.E. A.S. clinics, a women’s introductory avalanche safety series. The Truckee Donner Chamber of Commerce has kicked off the #TruckeeMoments Sweepstakes. The game is on now through March 15, 2014. Share the epic day on the hill, an amazing hike, that perfect margarita, sunrises and sunsets on Donner Lake on a social media outlet and be automatically entered to win prizes! 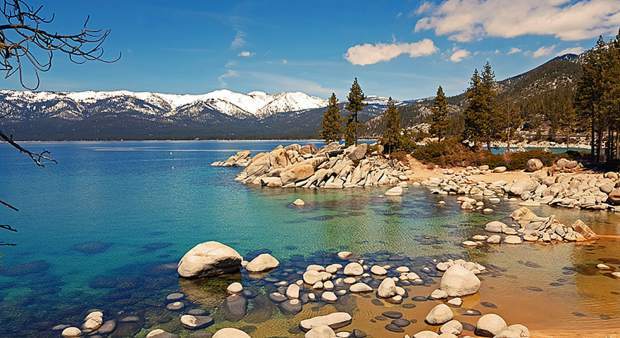 The #TruckeeMoments campaign encourages you to tag Truckee photos and surrounding mountains (ski resorts count!) with #TruckeeMoments on Twitter, Facebook, and/or Instagram. Each photo tagged counts as one entry. Enter as many times as you want, so don’t be shy — hashtag away! Two weekly winners will be selected and receive gift certificates donated by Truckee businesses. 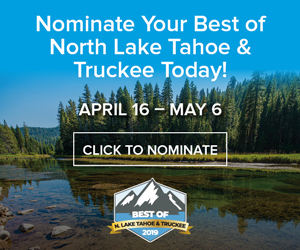 Two grand prizes will be awarded the sweepstakes’ end, including a two-night stay at The Truckee Hotel and a two-night stay at The Hampton Inn and Suites of Truckee paired with a restaurant gift certificate. Check out #TruckeeMoments images at http://bit.ly/1nz9hIh. Squeeze In is partnering with Kidzone Museum during March to raise money and awareness by donating a portion of March proceeds to the Museum. Visit KidZone to pick up a flyer, print one from kidzonemuseum.org, or download a copy to your device. Take it to Squeeze In any day in March and they will generously donate 10 percent of your check total to KidZone. Easy Squeezey! You must present the flyer to earn bucks for KidZone. Giving never tasted so good! Killoran will talk about how the Reno Tahoe Winter Games Coalition has worked for more than 25 years to prepare a bid to host a future Olympic Winter Games. In the aftermath of the Sochi Games, the potential for a U.S. winter bid and this region’s ability to be the choice will be presented. Visit renotahoewintergames.org. The meeting will be on Monday, March 10, 6-8 p.m. at Pizza on the Hill, in Tahoe Donner at 11509 Northwoods Blvd., Truckee. A $5 fee includes pizza, salad, and soft drinks. There will be time for networking. This month’s event is co-sponsored by New Leaders and Clear Capital. Find Silicon Mountain on LinkedIn, Facebook, TahoeSiliconMountain.com or sign up for email announcements at http://bit.ly/14XGofL. Vail Resorts, Inc. (NYSE: MTN) announced a partnership with one of the snowiest powder skiing resorts in the world — Niseko, Japan. The partnership represents the first Asian partner for the company, further enhancing the value of its flagship season pass. Epic Season Pass holders have the opportunity to experience unlimited and unrestricted skiing and riding at Vail, Beaver Creek, Breckenridge, Keystone and Arapahoe Basin in Colorado; Canyons in Park City, Utah; Heavenly, Northstar and Kirkwood in Lake Tahoe; and now five complimentary consecutive days at Niseko, Japan, for the 2014-2015 winter season. The Vail Resorts company website is http://www.vailresorts.com and consumer website is http://www.snow.com.